PLEASE READ THIS DOCUMENT CAREFULLY BEFORE ACCESSING OR USING http://www.churchillsofdereham.co.uk WEBSITE INCLUDING http://www.onlinegunshop.co.uk. BY ACCESSING OR USING THE SITE, YOU AGREE TO BE BOUND BY THE TERMS AND CONDITIONS SET FORTH BELOW. IF YOU DO NOT WISH TO BE BOUND BY THESE TERMS AND CONDITIONS, YOU MAY NOT ACCESS OR USE THE SITE AND SHOULD IMMEDIATELY CEASE SUCH USE. Online gun shop - Churchills of Dereham MAY MODIFY THIS AGREEMENT AT ANY TIME, AND SUCH MODIFICATIONS SHALL BE EFFECTIVE IMMEDIATELY UPON POSTING OF THE MODIFIED AGREEMENT ON THE SITE. YOU AGREE TO REVIEW THE AGREEMENT PERIODICALLY TO BE AWARE OF SUCH MODIFICATIONS AND YOUR CONTINUED ACCESS OR USE OF THE SITE SHALL BE DEEMED YOUR CONCLUSIVE ACCEPTANCE OF THE MODIFIED AGREEMENT. Domestic and International copyright and trademark laws protect the entire contents of the Site. The owners of the intellectual property, copyrights and trademarks are Online gun shop - Churchills of Dereham , its affiliates or other third party licensors. YOU MAY NOT MODIFY, COPY, REPRODUCE, REPUBLISH, UPLOAD, POST, TRANSMIT, OR DISTRIBUTE, IN ANY MANNER, THE MATERIAL ON THE SITE, INCLUDING TEXT, GRAPHICS, CODE AND/OR SOFTWARE. You may print and download portions of material from the different areas of the Site solely for your own non-commercial use provided that you agree not to change or delete any copyright or proprietary notices from the materials. You agree to grant to Online gun shop - Churchills of Dereham a non-exclusive, royalty-free, worldwide, sub licensable, perpetual license, with the right to sub-license, to reproduce, distribute, transmit, create derivative works of, publicly display and publicly perform any materials and other information (including, without limitation, ideas contained therein for new or improved products and services) you submit to any public areas of the Site (such as bulletin boards, forums and newsgroups) or by e-mail to Online gun shop - Churchills of Dereham by all means and in any media now known or hereafter developed. You also grant to Online gun shop - Churchills of Dereham the right to use your name in connection with the submitted materials and other information as well as in connection with all advertising, marketing and promotional material related thereto. You agree that you shall have no recourse against Online gun shop - Churchills of Dereham for any alleged or actual infringement or misappropriation of any proprietary right in your communications to Online gun shop - Churchills of Dereham. Web sites, seminars, conferences, events, trade shows, publications, products, content or services referenced herein or on the Site are the exclusive trademarks or service marks of Online gun shop - Churchills of Dereham , including the “look” and “feel” of the Site, color combinations, layout, and all other graphical elements. 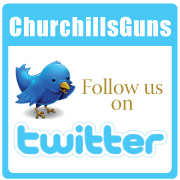 Any use of Online gun shop - Churchills of Dereham trademarks is strictly prohibited without the express permission from Online gun shop - Churchills of Dereham . Other product and company names mentioned in the Site may be the trademarks of their respective owners. You understand that, except for information, products or services clearly identified as being supplied by Online gun shop - Churchills of Dereham , Online gun shop - Churchills of Dereham does not operate, control or endorse any information, products or services on the Internet in any way. Except for Online gun shop - Churchills of Dereham identified information, products or services, all information, products and services offered through the Site or on the Internet generally are offered by third parties that are not affiliated with Online gun shop - Churchills of Dereham . You also understand that Online gun shop - Churchills of Dereham cannot and does not guarantee or warrant that files available for downloading through the Site will be free of infection or viruses, worms, Trojan horses or other code that manifest contaminating or destructive properties. You are responsible for implementing sufficient procedures and checkpoints to satisfy your particular requirements for accuracy of data input and output, and for maintaining a means external to the Site for the reconstruction of any lost data. If Online gun shop - Churchills of Dereham offers a search feature within the Site. Online gun shop - Churchills of Dereham explicitly disclaims any responsibility for the content or availability of information contained in our search index or directory. Online gun shop - Churchills of Dereham also disclaims any responsibility for the completeness or accuracy of any directory or search result. l) Register, subscribe, attempt to register, attempt to subscribe, unsubscribe, or attempt to unsubscribe, any party for any Online gun shop - Churchills of Dereham product or service if you are not expressly authorized by such party to do so. YOU ASSUME TOTAL RESPONSIBILITY AND RISK FOR YOUR USE OF THE SITE AND THE INTERNET. Online gun shop - Churchills of Dereham PROVIDES THE SITE AND RELATED INFORMATION “AS IS” AND DOES NOT MAKE ANY EXPRESS OR IMPLIED WARRANTIES, REPRESENTATIONS OR ENDORSEMENTS WHATSOEVER (INCLUDING WITHOUT LIMITATION WARRANTIES OF TITLE OR NONINFRINGEMENT, OR THE IMPLIED WARRANTIES OF MERCHANTABILITY OR FITNESS FOR A PARTICULAR PURPOSE) WITH REGARD TO THE SERVICE, ANY MERCHANDISE INFORMATION OR SERVICE PROVIDED THROUGH THE SERVICE OR ON THE INTERNET GENERALLY, AND Online gun shop - Churchills of Dereham SHALL NOT BE LIABLE FOR ANY COST OR DAMAGE ARISING EITHER DIRECTLY OR INDIRECTLY FROM ANY SUCH TRANSACTION. IT IS SOLELY YOUR RESPONSIBILITY TO EVALUATE THE ACCURACY, COMPLETENESS AND USEFULNESS OF ALL OPINIONS, ADVICE, SERVICES, MERCHANDISE AND OTHER INFORMATION PROVIDED THROUGH THE SERVICE OR ON THE INTERNET GENERALLY. YOU UNDERSTAND FURTHER THAT THE INTERNET CONTAINS UNEDITED MATERIALS SOME OF WHICH ARE SEXUALLY EXPLICIT OR MAY BE OFFENSIVE TO YOU. YOU ACCESS SUCH MATERIALS AT YOUR RISK. Online gun shop - Churchills of Dereham HAS NO CONTROL OVER AND ACCEPTS NO RESPONSIBILITY WHATSOEVER FOR SUCH MATERIALS. IN NO EVENT Online gun shop - Churchills of Dereham BE LIABLE FOR (I) ANY INCIDENTAL, CONSEQUENTIAL, OR INDIRECT DAMAGES (INCLUDING, BUT NOT LIMITED TO, DAMAGES FOR LOSS OF PROFITS, BUSINESS INTERRUPTION, LOSS OF PROGRAMS OR INFORMATION, AND THE LIKE) ARISING OUT OF THE USE OF OR INABILITY TO USE THE SERVICE, OR ANY INFORMATION, OR TRANSACTIONS PROVIDED ON THE SERVICE, OR DOWNLOADED FROM THE SERVICE, OR ANY DELAY OF SUCH INFORMATION OR SERVICE. EVEN IF Online gun shop - Churchills of Dereham OR ITS AUTHORIZED REPRESENTATIVES HAVE BEEN ADVISED OF THE POSSIBILITY OF SUCH DAMAGES, OR (II) ANY CLAIM ATTRIBUTABLE TO ERRORS, OMISSIONS, OR OTHER INACCURACIES IN THE SERVICE AND/OR MATERIALS OR INFORMATION DOWNLOADED THROUGH THE SERVICE. BECAUSE SOME STATES DO NOT ALLOW THE EXCLUSION OR LIMITATION OF LIABILITY FOR CONSEQUENTIAL OR INCIDENTAL DAMAGES, THE ABOVE LIMITATION MAY NOT APPLY TO YOU. IN SUCH STATES, EATPIXELS LIABILITY IS LIMITED TO THE GREATEST EXTENT PERMITTED BY LAW. You agree to indemnify, defend and hold harmless Online gun shop - Churchills of Dereham , its officers, directors, employees, agents, licensors, suppliers and any third party information providers to the Site from and against all losses, expenses, damages and costs, including attorneys’ fees, resulting from any violation of this Agreement (including negligent or wrongful conduct) by you or your use and access of the Site. Online gun shop - Churchills of Dereham reserves the right to release current or past member or Web site user information if Online gun shop - Churchills of Dereham believes that a member’s account is being used to commit unlawful acts, if the information is subpoenaed and/or if Online gun shop - Churchills of Dereham deems it necessary and/or appropriate. The provisions of paragraphs 3 (Use of the Site), and 5 (Indemnification) are for the benefit of Online gun shop - Churchills of Dereham and its officers, directors, employees, agents, licensors, suppliers, and any third party information providers to the Site. Each of these individuals or entities shall have the right to assert and enforce those provisions directly against you on its own behalf. Your participation, correspondence or business dealings with any third party found on or through the Site, regarding the payment and delivery of related goods or services, and any other terms, conditions, warranties or representations associated with such dealings, are solely between you and such third party. You agree that Online gun shop - Churchills of Dereham shall not be responsible or liable for any loss, damage or other matters of any sort incurred as the result of any such dealings. The Site may provide, or third parties may provide, links to non-Online gun shop - Churchills of Dereham Internet World Wide Web sites or resources. Because Online gun shop - Churchills of Dereham has no control over such sites and resources, you acknowledge and agree that Online gun shop - Churchills of Dereham is not responsible for the availability of such external sites or resources, and does not endorse and is not responsible or liable for any content, advertising, products, or other materials on or available from such sites or resources. You further acknowledge and agree that Online gun shop - Churchills of Dereham shall not be responsible or liable, directly or indirectly, for any damage or loss caused or alleged to be caused by or in connection with use of or reliance on any such content, goods or services available on or through any such site or resource. This Agreement shall all be governed and construed in accordance with British laws. Any cause of action or claim you may have with respect to the Site must be commenced within one (1) year after the claim or cause of action arises or such claim or cause of action is barred. Online gun shop - Churchills of Dereham failure to insist upon or enforce strict performance of any provision of this Agreement shall not be construed as a waiver of any provision or right. Neither the course of conduct between the parties nor trade practice shall act to modify any provision of this Agreement. Online gun shop - Churchills of Dereham may assign its rights and duties under this Agreement to any party at any time without notice to you. 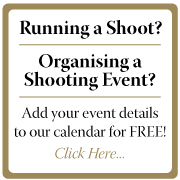 Some of the information on this Web site may contain projections or other forward-looking statements regarding future events or the future financial performance of Online gun shop - Churchills of Dereham . We wish to caution you that these statements are only predictions and that the actual events or results may differ materially. Your privacy and security are important to us. Because we gather certain types of information about The Online gun shop - Churchills of Dereham users, we feel you should fully understand the terms and conditions surrounding the capture and use of that information. This privacy statement discloses what information we gather and how we use it. NOTE: Online gun shop - Churchills of Dereham can not accept information from individuals who are under 14 years of age without first obtaining express parental consent. If you participate in interactive activities (event registration, message boards, membership program, etc.) on Online gun shop - Churchills of Dereham, you may be asked to register for an ID and password and/or to provide information on forms. Unique identifiers, such as IDs and passwords, are collected to verify your identity and for use as account numbers in our record system. Your contact information may also be used to contact you when necessary for customer service reasons. Online gun shop - Churchills of Dereham uses a variety of security measures to maintain the safety of your personal information. Personal information collected on Online gun shop - Churchills of Dereham is stored in a secure operating environment that is not available to the public. You can help to protect your information by safeguarding your Online gun shop - Churchills of Dereham password, using caution and discretion when posting information on public areas of the Online gun shop - Churchills of Dereham, and by learning more about internet privacy from Web sites such as TRUSTe - http://www.truste.com .